In my last two posts I talked about the definition of a “security” and how that term is defined in federal securities statutes and the Howey case. Because of that definition, we know that a security can include the common stock in a corporation, membership interests in an LLC, or a promissory note or debenture, in which a company promises to repay the principal amount of the loan plus interest. The chief federal laws governing securities in the U.S. are the Securities Act of 1933 (the “1933 Act”) and the Securities Exchange Act of 1934 (the “1934 Act”). The 1933 Act and the 1934 Act were both Congressional reactions to the great stock market crash of 1929. The thinking at the time was that the markets had become overheated, in part, because of an influx of new, small investors who had been solicited by unscrupulous brokers. Among the reforms contained in the 1933 Act and the 1934 Act was a general prohibition on sales of securities unless those securities had been registered with the SEC or were subject to an exemption. Registration means that the company issuing the securities (known to securities professionals as the “issuer”) had to file a registration statement with the Securities and Exchange Commission (“SEC”). The vast majority of publicly-traded companies (i.e., the ones whose stock can be bought or sold through the NASDAQ and NYSE stock markets) at one point filed a registration statement as part of an initial public offering (or “IPO”). Registration statements are long, detailed documents, usually running 150 pages or more in length. The IPO process usually takes a year or more to complete, as a business must pull together several years’ worth of audited financial statements and prepare a detailed registration statement that describes its business in detail, the securities it is proposing to sell through the registration statement and the various “risk factors” that an investor should consider when making a decision to invest in the security. Because the registration process is both expensive and time-consuming, most small businesses and new ventures raise growth capital through private transactions that take advantage of one of the available exemptions from registration. The world of P2P lending, however, puts this paradigm on its head. 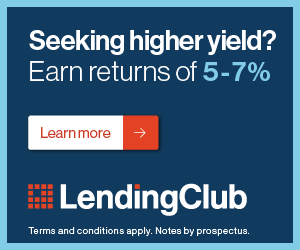 The platforms that Prosper and Lending Club have made is possible for small borrowers to borrow in a quasi-public fashion without registering securities while the investors are able to (in effect) make individualized investment decisions without actually purchasing securities issued by the individual borrowers. I’ll cover the details of that process in my next post. Las reglas para las recompras están en la “Rule 10b- 18”. de la Securities Exchange Act. 10b-18 usually applies to public companies on the repurchase of their stock.